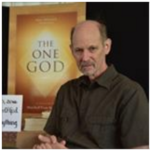 On Sept 9th, students of the “Messenger of God” Marshall Vian Summers will convene in Estes Park for the 5-day Encampment of the New Message from God. Over 130 students will be in attendance, representing 17 countries, 24 US states and 5 Canadian provinces. 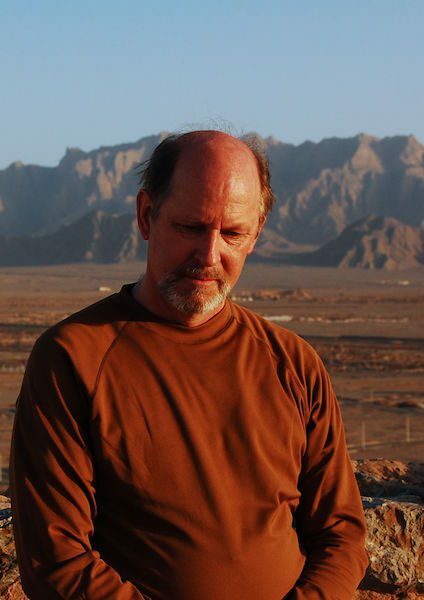 During the 2016 Encampment, the Messenger Marshall Vian Summers will offer a live worldwide broadcast during which he will release the newest book of Revelation in the 40-book series called The New Message from God. In addition, never-before-heard revelations of God’s New Message will be played and made available to the world. The 2016 Encampment of the New Message from God will be broadcast live on YouTube and live on Facebook Saturday, September 10th at 9am MDT to the world and to the hundreds of members of the Worldwide Community of the New Message not able to attend in person. In addition, quotes, photos, discussions and videos from The Encampment will be shared live on Facebook and Twitter (#2016MessengerofGod). 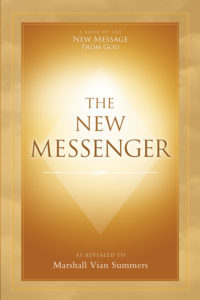 The newest book of the New Message from God, The New Messenger. The newest book of the New Message from God is titled The New Messenger and reveals the common origin, lineage and mission of the Messengers of God — Jesus, Muhammad, Buddha and now Marshall Vian Summers—who, at different times in history, have entered the world to receive and present New Revelations to humanity. Summers states that the words of this book are a communication from God to the world, translated into the English language by the Angelic Presence that oversees the world, and spoken through him in a state of Revelation. 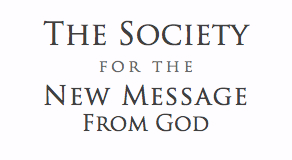 According to The Society for the New Message from God, the 501(c)(3) non-profit organization founded by Summers in 1992: “The miracle of God’s love and communication for humanity is unfolding now in our time, and you are amongst the first to find it. For the first time in history, the ‘Voice of Revelation’ such that spoke to Jesus, Muhammad and other Messengers has now been recorded and these recordings are available for all people to hear.” The Society hosts an extensive library of the original text and spoken recordings of the New Message at www.newmessage.org/experience. For more information about the Encampment or to receive a press pass to attend the Saturday morning broadcast, please contact Tyyne Andrews at 1-800-938-3891 or society@newmessage.org. To receive a free copy of The New Messenger, please submit a free book request here. Marshall Vian Summers has spent the last 30 years receiving and presenting what he claims is a “New Message from God” and the next chapter in God’s successive revelations for humanity. During most of this time he was living and receiving this revelation in obscurity, with only his family and a few others to assist him. It is just recently that he has begun to present, his revelation, the New Message from God to the world. He claims to be a Messenger of God bringing a revolutionary new message from the Creator to humanity. The New Message from God speaks on a wide range of topics from spiritual practice to relationships, religious violence, climate change and the environment, and our world’s destined contact with intelligent life in the universe. Gathered around the New Message from God is a worldwide community of students in over 90 countries across the globe, with translations of his Revelation now published in over 20 languages. The students of this community hold that Marshall Vian Summers is a messenger of God for our time in the lineage of Buddha, Jesus and Muhammad and consider the over 40 books of Revelation he has received to be both a divine communication to the world as well as the foundational texts of a new world religion. Ask the Messenger anything at Reddit.